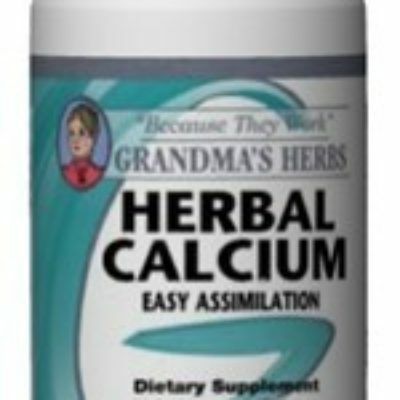 Promotes Healthy Appetite and Metabolism: Are you tired of your metabolism not cooperating with your diet ideas? Reportedly millions of Americans are overweight. We hear the dangers and risks of being overweight every day. 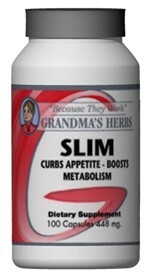 Grandma’s Herbs SLIM formula has been designed to speed up metabolism, curb appetite and cleanse the colon. SLIM combined with a proper diet can help you with your weight struggles. Recommendation: Take (2) to (3) capsules with each meal. You may take more or less as needed. Approximately one third of the adult population is overweight and nearly fifty percent of the children are overweight. Overweight people tend to be more susceptible to diseases like diabetes, high blood pressure and heart disease. In the past it was thought that eating too much is the only contributor to obesity. Now we know there are some people who eat a lot and remain thin, and others who eat very little and still gain weight. The difference seems to be how their metabolism is operating. 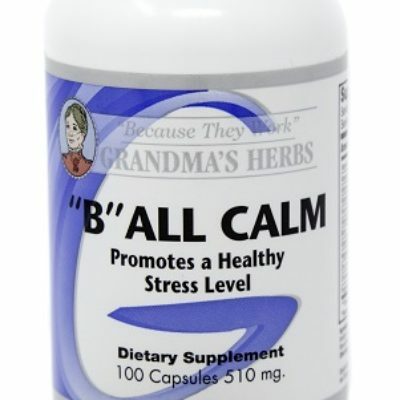 The body is sometimes unable to metabolize some of the fatty acids into that fuel. The fatty acids become lipids and are stored for later conversion or metabolism. The storage is the fatty deposits we all want to lose on our hips, back and belly. When we restrict foods, as with dieting, our body reacts as if it is in danger of starving. It becomes very efficient and will squeeze every iota of energy out of what food we do eat and STORES what it doesn’t use as fat!!! Starvation diets may work temporarily but soon our bodies adjust and we gain weight whether we cut our portions or not. It goes into a starvation mode and stores fat to use later as fuel. A good weight loss program will involve physical exercise, a healthy diet and some sort of a metabolism booster to get things started in the right direction. To lose weight it is necessary to speed up the metabolism, curb the appetite and cleanse the colon of old stored waste. 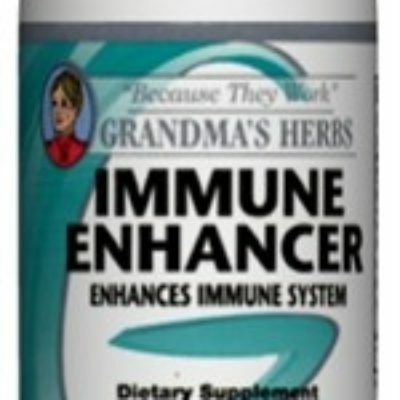 Grandma’s Herbs SLIM formula has been designed to help produce these effects. 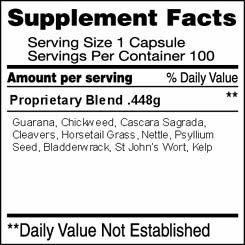 Guarana: Is the main herb used in this formula, it’s an herb that is native to Brazil and contains caffeine. The effect of the caffeine in guarana results in a boost of energy and appetite suppression. One place extra pounds are stored is in the colon, as waste. We added psyllium seed to SLIM to help cleanse the colon and get rid of the waste. 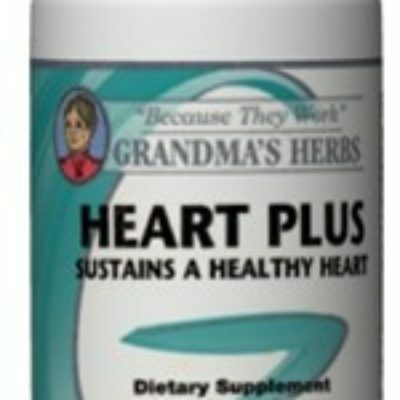 Using Grandma’s Herbs SLIM, along with a healthy diet and exercise, has helped many with the battle in losing weight. Informational Note: It is best to use this product in conjunction with SUPER LAX to make sure that the bowels do not become constipated. It is also very important to eat a lot of fruits and vegetables, while cutting back on meat, sweets, breads and dairy products. It is essential to exercise each day, as exercise breaks down the fat tissue so that it can be cleansed out of the body.